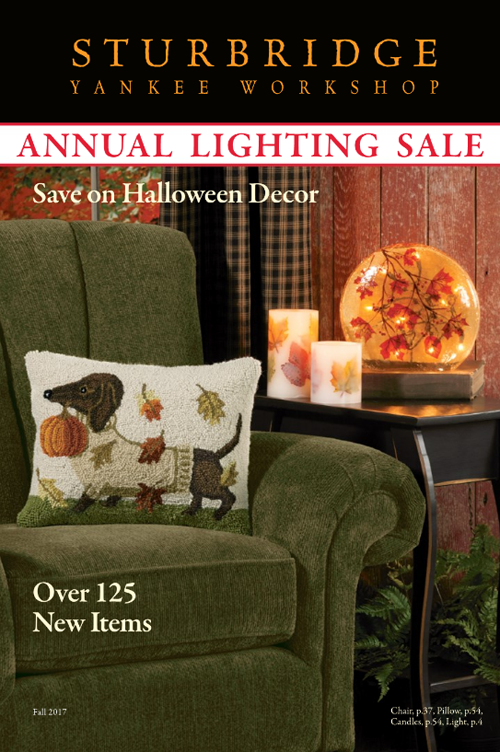 These must-have lighting solutions are new to our Fall catalog, and offer multiple functions to give your entire home the light it needs. For the family room. 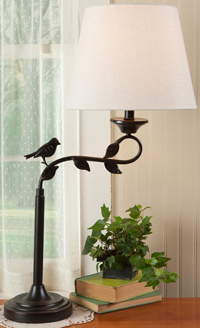 Our Parkside Floor Lamp lends plenty of light for reading, watching television and enjoying the company of friends and family. Its handsome bronze finish will enhance the warmth of the room and offer a look as timeless as family memories. For the office. While it would also be a great lighting option for the family room, our Granger Adjustable Lamp is great for working or organizing the next family vacation in a home office. With a sleek design and crisp white shade, this no-fuss table lamp exemplifies functional lighting. For an end table. Especially next to the bed or in an entryway, the decorative Edison Accent Lamp offers twinkling accent light and exquisite design. 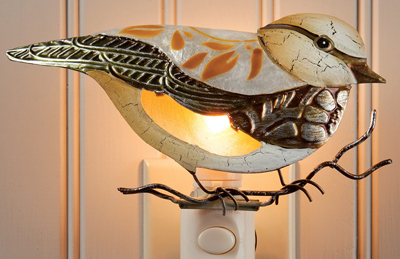 This battery-operated lamp is low maintenance and ideal for any home. For the outdoors. 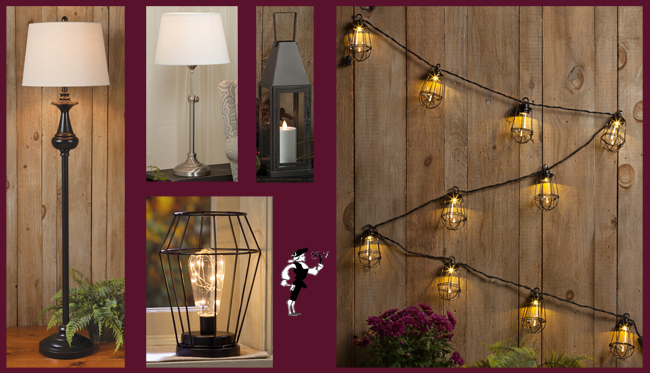 String lights can turn any patio or covered porch into a charming outdoor escape, and our Caged LED String Lights add a rustic feel to yours. 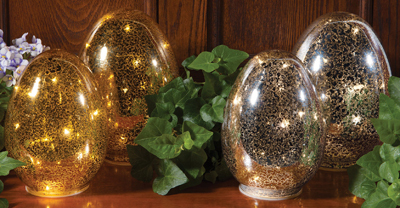 The plastic bulbs are extra durable for illuminating year after year. Also made for the outdoors is the Vintage Tin Lantern. Set it on the front stoop or along a walkway and give your yard a primitive, worry-free and decorative lighting solution. Spring sunshine brightens our moods, yards and homes and leaves us feeling excited for the days to come. But with spring also comes rain and scattered cold nights that have us wanting to get cozy and wait for the sun to come out again, and for those days, accent lighting and task lighting are what brighten our homes. 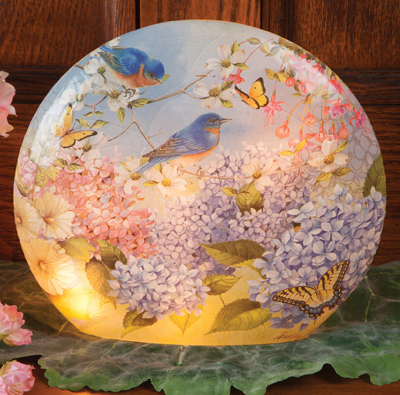 Fortunately, our new spring lighting solutions are functional and decorative, so you can illuminate your home at night and fill your home with stylish birds and flowers to admire during the day. We have shown you five of our newest spring lighting solutions here, but you can always browse our entire lighting selection HERE. 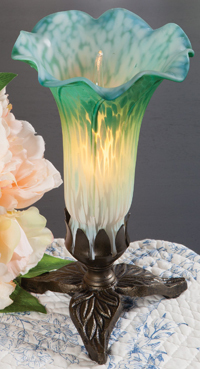 For complementary home accents also new to our catalog, take a look on our website. 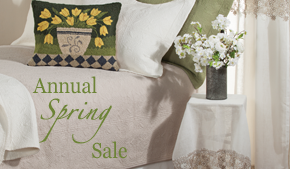 Share with us how you are decorating with accent lighting and spring home accents, and continue to enjoy the spring season!